Little Elm, located just left of Frisco and Prosper, is a great area to raise a family. This includes families with little kids all the way to growing teenagers. The trails right at Lewisville Lake and the city parks in the area make this home. But because this is such a comfortable home for growing families, your children and your teens can get lice. In the school system, kids are interacting with other kids all day every day. Lice is sometimes a result. Ensure the Little Elm lice treatment you choose is one that works best for your family. 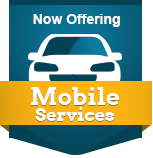 Knowing this lice problem is a reality in all DFW cities, including the community of Little Elm, it becomes crucial that the company you invest in for lice removal is the right one for your busy lifestyle. This can mean anything to you, be it all-natural formulas or structured follow-up care. Little Elm lice treatment is best done at the Lice Lifters DFW Frisco treatment center. The community of Frisco is short in drive time from Little Elm and is definitely worth the trip. At our facility, the Lice Lifters DFW team will apply an all-natural agent to each family member’s head. Then you go home with continued care and treatment. Investing in this solution from Lice Lifters DFW is the definitive way to get rid of lice. It is proven safe and effective. 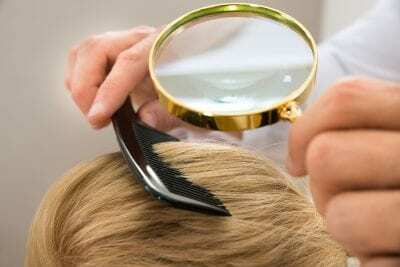 Children spread head lice without intent. Head-to-head contact is the simplest form of transmission. The reason why transmission is so common amongst children is due to playgrounds, sports activities, camp, and slumber parties. Children are taught to share. As such, they share almost everything with their good friends in class. We’re talking about hats, scarves, combs, and hair brushes, just to name but a few items. These items are breeding grounds for head lice seeking a new host. Once your child has acquired head lice of their own, the discomfort will set in. For any child who has never experienced head lice, the symptoms can be quite alarming. In fact, many are afraid of something much worse. If you mention bugs, most will lose their cool. That is why Lice Lifters Treatment Centers have designed lice treatment in Little Elm to be both effective and safe. No child should fear treatment! Head lice infestations are common in large school districts. The bigger the school, the more opportunities for head lice are to spread amongst classmates. To properly diagnose a head lice infestation, a specialist or school nurse must locate a live nymph or adult louse on the scalp or hair follicles of an infected individual. Finding lice is relatively simple once you understand what to look for. Nymphs are small, move fast, and tend to avoid the light. A magnifying glass and fine-toothed comb are useful tools to have on hand. Once a head lice infestation has been discovered and properly diagnosed, treatment may begin in earnest. At Lice Lifters Treatment Centers, we provide a three-step treatment plan that is designed to stop lice in their tracks. By scheduling an appointment with our specialists, you are taking a proactive step in reducing discomfort and stopping the spread of head lice. If you have ever dealt with a head lice infestation, then you know of the itch and discomfort. You want it gone as fast as possible. We cannot blame you one bit. We’ve personally dealt with head lice in the past, and immediately sought prompt treatment to ease the situation. The philosophy of Lice Lifters Treatment Centers is to provide fast treatment services. You could very well head to the local drugstore and purchase lice treatment off the shelves. Those products don’t work, though. They make false promises and ultimately lead to further discomfort and even adverse health effects. You never know what you’ll get from a bottle of over-the-counter medication. We recommend opting for professional treatment instead. It takes just one treatment in our office to seal the deal and get rid of head lice for good. One treatment and you’re done. What more could you ask for? Everyone wants a permanent solution to head lice. While head lice are troublesome, they are typically temporary. With the right treatment, you could immediately be free of your head lice issues. It actually is that simple. Professional treatment is the way to go. Head Check – Bit by bit, we sift through your hair to locate any nits, nymphs, or adult lice. If we discover evidence of a head lice infestation, we move forward to the next step. Comb-Out – Using a micro-grooved comb, we meticulously comb through your hair to remove as many nits as possible. Some are stubborn, but our techniques truly work! All-Natural Killing Agent – Our all-natural killing agent includes no pesticides and has proven effective at treating head lice in one go! Your Little Elm lifestyle, whether it has sports games at city parks, bike rides around the neighborhood, or weekend trips to Dallas, doesn’t need to have lice get in the way. Lice and nit removal are crucial to a comfortable family life.